New Seasons Market is now offering reward points when we shop, as a way of saying thanks for being great customers and even better neighbors. 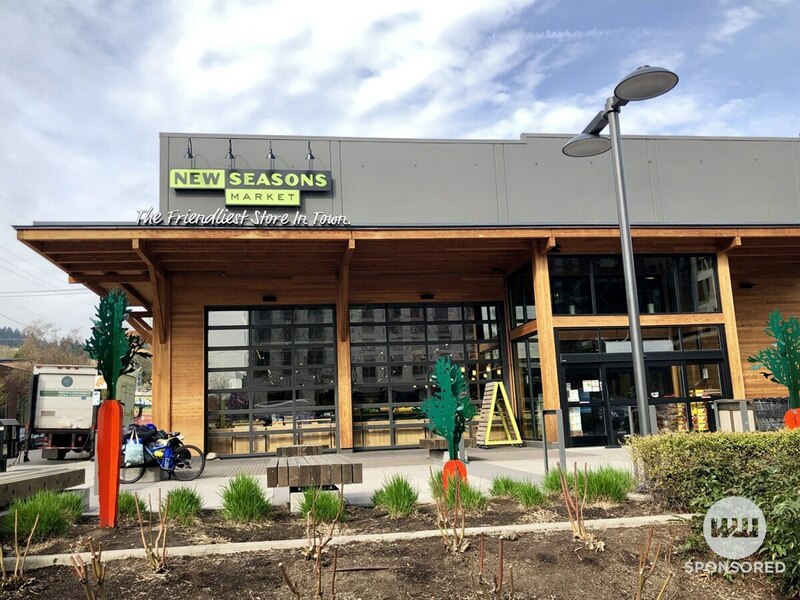 We at Willamette Week love New Seasons Market. Our office is kitty-corner to the Slabtown location, and it's not rare for us to make multiple trips a day for a bite to eat. 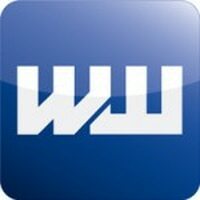 So when Neighbor Rewards launched last week, you can bet WW staff was among the first to sign up. In case you don't know, New Seasons' Neighbor Rewards is their rewards program to loyal customers. Every shopping trip earns you points: 1 point per dollar you spend on almost everything; 2 points per dollar you spend on New Seasons brand products (with the added bonus of supporting local makers); and 10 points per visit when you use your reusable bags and containers to help reduce your environmental impact. When you reach 500 points, you'll earn a $5 reward — and you'll be able to use that $5 on a future purchase any time in the next 60 days. To sign up, all you have to do is put in your mobile phone number the next time you check out and you're all set to start earning rewards. And after you sign up, New Seasons will send you a text to complete enrollment; reply "YES" and you'll receive 250 bonus points. It seems pretty simple, right? With how often we visit New Seasons, I wanted to see how many points I could accumulate with my regular trips. My first documented trip on the Rewards Program was lunch and groceries for dinner (is lunch too early to think about dinner?). The Hot Bar always offers tasty meals, freshly made and ready to eat—so that's where I first loaded up, along with some some New Seasons Market Bucatini pasta, arrabbiata Sauce, and extra virgin olive oil. After inhaling a well rounded meal of roasted chicken and grilled veggies, I was craving something sweet to complete the meal. 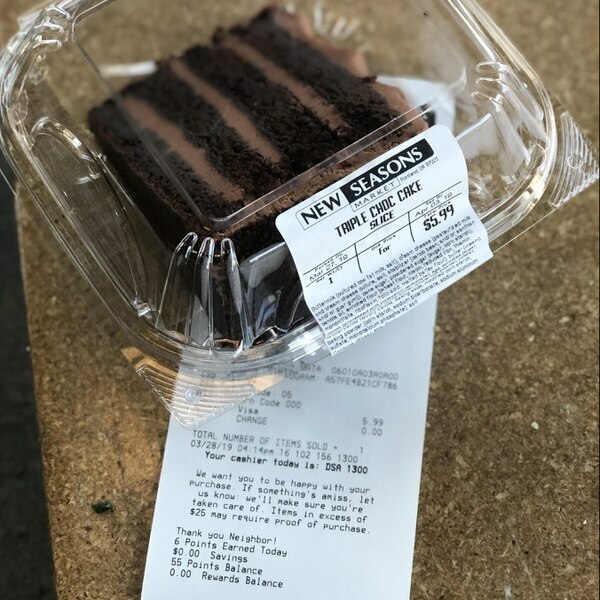 So I went through check out a second time and got a slice of triple chocolate cake (I cannot be bothered with diets when I have deadlines). My point count after this trip: 55. Not bad for just starting out, right? I left New Seasons stuffed, happy, and ready to make dinner, too. 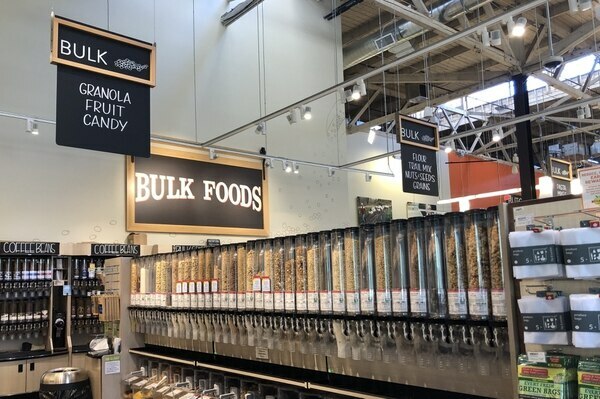 For my second trip, we went to my most visited aisle of New Seasons (beside the sample counter): Bulk Foods. You can get everything from legumes and wild rice, to trail mix and pretzels. My personal favorite is the Giant Peruvian Toasted & Salted Corn and Semi-Sweet Dark Chocolate Chips, so I grabbed a small helping of each of these. My point count after this: 61. 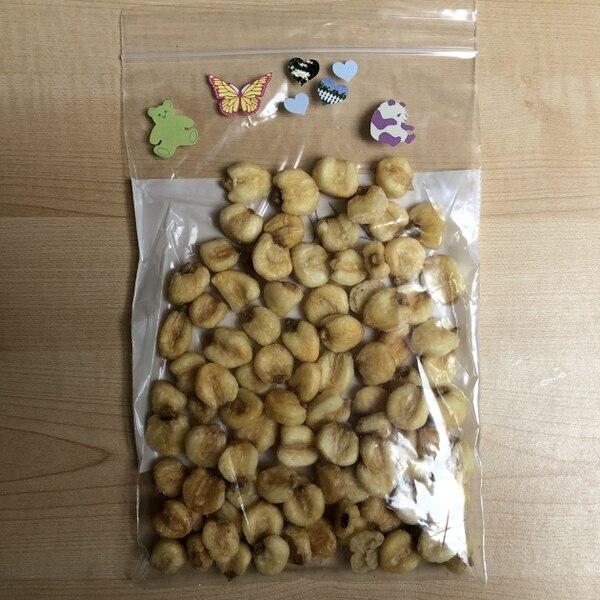 I took some stickers for the road and went to munch away on our snacks. My third trip was breakfast on-the-go before starting work. 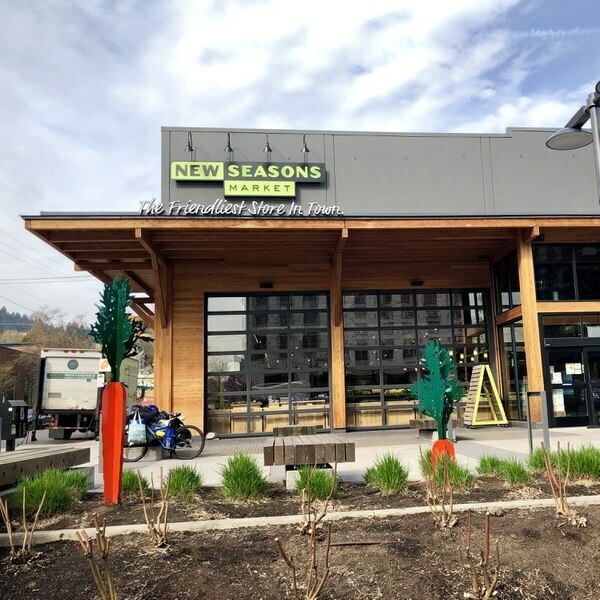 New Seasons offers a lot of healthy options for breakfast, including a vegetable tempeh that fills you right up and freshly cut fruit ready to go. I brought my own container for this trip, which earned me an extra 10 points at check out. My point count: 76. Since that breakfast trip, I've visited New Seasons three more times and accrued even more points. I checked up on my progress on my account online (you can go on the New Seasons website or get updates by text), and I was pleasantly surprised by what my point count was: 294. Just 206 away from my first $5 reward (free Asian Chicken Meatballs, please!). We'll always be loyal customers to New Seasons, but now they've really sweetened the deal. They launched this program to say thanks to all of us for welcoming them into the community as they've grown over the last 19 years. 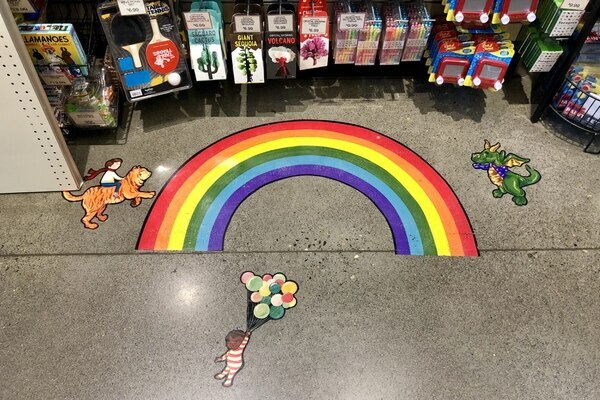 But really, we want to say to New Seasons Market: thank you! Sign up for New Seasons' Neighbor Rewards! Visit them online or check out the FAQ for more details. Available at all New Seasons Markets.